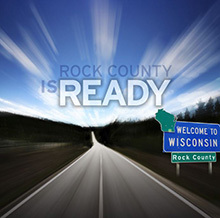 Whether you're seeking working capital financing or complex technical assistance, the Rock County Development Alliance is your one-stop business resource. The Alliance has excellent working relations with various local, state and federal agencies. This tenure and team approach enables the Alliance to deliver a proven track record of working to facilitate development projects, minimize costs, streamline local / state regulations, and package value-added assistance. Generally, the Wisconsin Economic Development Corporation is the most direct source for business development programs, offering working capital financing and technical assistance to working communities and businesses alike. WEDC's assistance is usually based upon the ability of a project to demonstrate feasibility through employment creation / retention and investment documentation. Since these programs support rather than compete with offerings from other working capital and support providers, multiple funds are often “packaged”. These working business resources are enhanced by Wisconsin's retooled business climate, including such items as: a 100% fully funded public pension system; historically lower electric, unemployment insurance, and worker's compensation rates; the exclusion of long-term capital gains for investments attributed to qualified working Wisconsin businesses; and the effective reduction of Wisconsin income tax obligations due on qualified manufacturing and agricultural production activities. This change falls within the Manufacturing & Agriculture Credit administered by the WI Dept of Revenue. It provides a credit that will total 7.5%. The Janesville-Beloit MSA is also home to five Federal Opportunity Zones, which were created through the Tax Cuts and Jobs Act. For additional information, please contact the Alliance, view the listings below, or visit this online financial resources directory.